Britain's prime minister is on a collision course with the European Union after lawmakers demanded she renegotiate a Brexit divorce deal. The bloc says they won't budge. 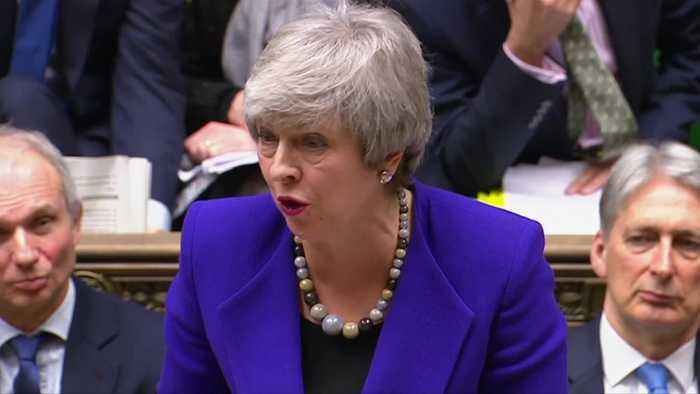 British Prime Minister Theresa May said on Wednesday (January 30) that parliament's vote to reject no-deal "cannot be the end of the story," a day after British lawmakers' rejection of amendments to delay Brexit. Lawmakers voted on Tuesday (January 29) to demand May renegotiate the terms of Brexit but rejected an amendment that would have postponed Britain's scheduled March 29 departure. However, an amendment that stipulated averting a no-deal Brexit did pass. May will meet Jeremy Corbyn, leader of the opposition Labour Party, inside parliament, a government source said on Wednesday.